Wildlife photography is an activity that brings me so much joy. I love getting out in nature, hiking the trails, observing animals, learning their behavior, working to capture some of what I see with a camera, and then sharing those images with others. I think there is so much to learn by getting outside and practicing, learning through experience, by trial and error. But I think there is also value in learning from others. Books can be great sources of education. Or you could find a mentor who could teach you one on one. Or perhaps you can find and take a workshop with an expert in the field. 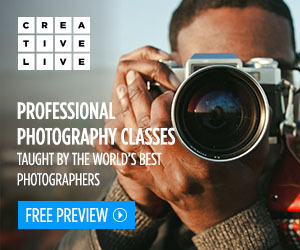 Another great alternative I often use is watching online classes through CreativeLive. 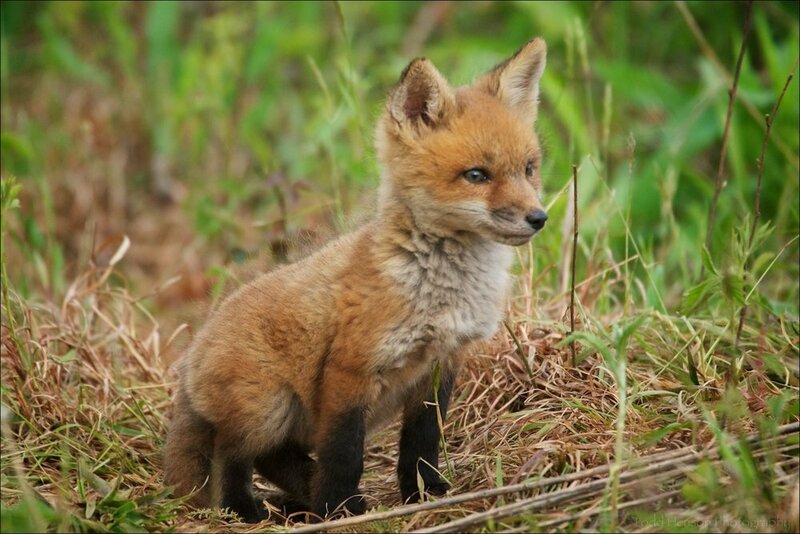 I found this young Red Fox kit just outside its den. Shortly afterwards it curled up and fell asleep. The Art of Wildlife Photography is a CreativeLive online class taught by Tom Mangelsen, a well known wildlife photographer. It was originally streamed live over 2 days, and includes almost 11 hours of video of both classroom discussions and video of Tom and several students in the field, photographing landscapes, elk, river otter, moose and more. You really get to know about Tom in this class, where he came from, how he got into photography, and how passionate he is about the wildlife he photographs. 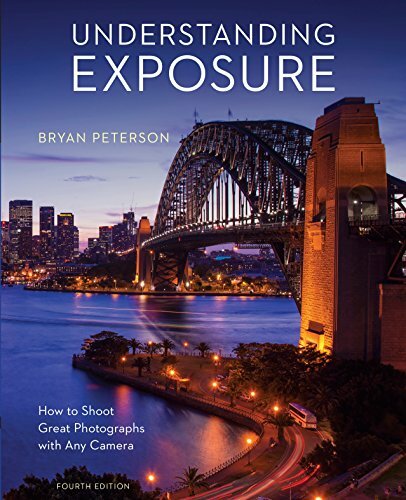 And you get to learn some of the lessons he has learned over the years photographing wildlife all over the world. He talks about how to approach wildlife, how to read their behavior, and how the well being of the wildlife is always more important than the photograph. 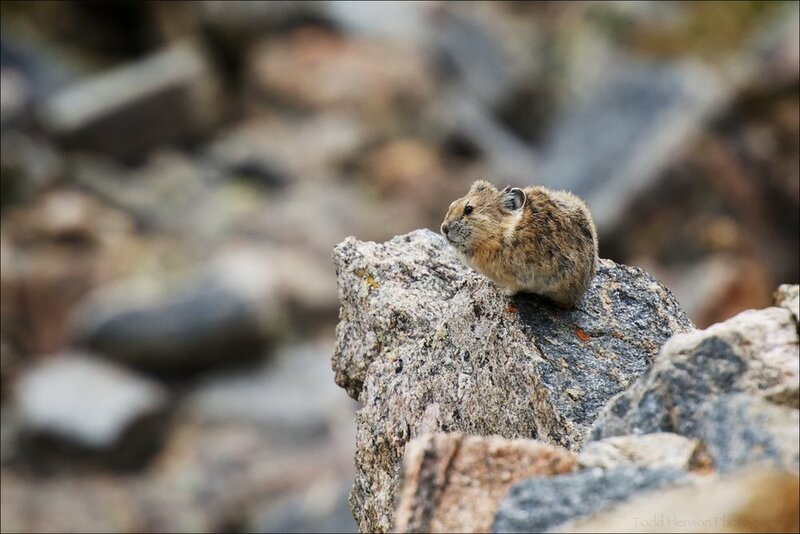 An American Pika I photographed on the edge of a rock in Rocky Mountain National Park. One of the elements of this class I most enjoyed were the videos of Tom in the field with students. I enjoyed seeing how Tom approached a scene, what he looked for, and how he adapted to the scene as things changed, whether that be lighting or wildlife moving around in the background. You could see how over the years he has learned how wildlife behaves and can often anticipate their movement allowing him to better position himself for an artistic wildlife image. His experience photographing a very large family of river otter brought back fond memories of an experience I had in Maine with my father. We also ran into a family of river otter, granted, much smaller than the one Tom and his students found. But it was such a joy photographing them, and such a joy to watch his excitement as he photographed them with the class. Four River Otter I photographed in Acadia National Park, along the Schoodic Peninsula in Maine. Most of my wildlife photography could probably be labelled as wildlife portraiture. I tend to focus on single animals at as close a distance as possible, filling the frame with the animal and throwing the background into a pleasant out of focus blur. I really enjoy this style of photography, and it is something Tom has also done. A Blue-gray Gnatcatcher I found sitting on its nest. But Tom’s greatest works seem to be larger environmental landscapes where wildlife is integrated into the scene. These are often panoramic images of beautiful landscape backgrounds with wildlife as a subject in a key location. I would very much like to use his examples as a starting off point for myself, and try to explore creating these wider images of wildlife in their environment. I think these can help tell a larger story and really draw the viewer into the photograph. 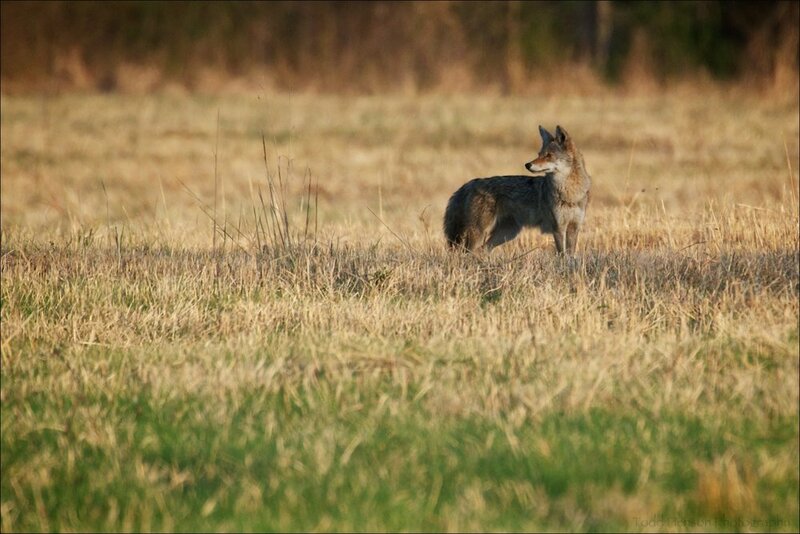 I saw this Coyote out in a field and photographed it looking over its shoulder. If you are passionate about wildlife photography and want to learn from one of the best in the world then check out CreativeLive’s The Art of Wildlife Photography with Tom Mangelsen. It is one of my favorite classes that I’ve purchased over the years. I hope you enjoy it, as well!